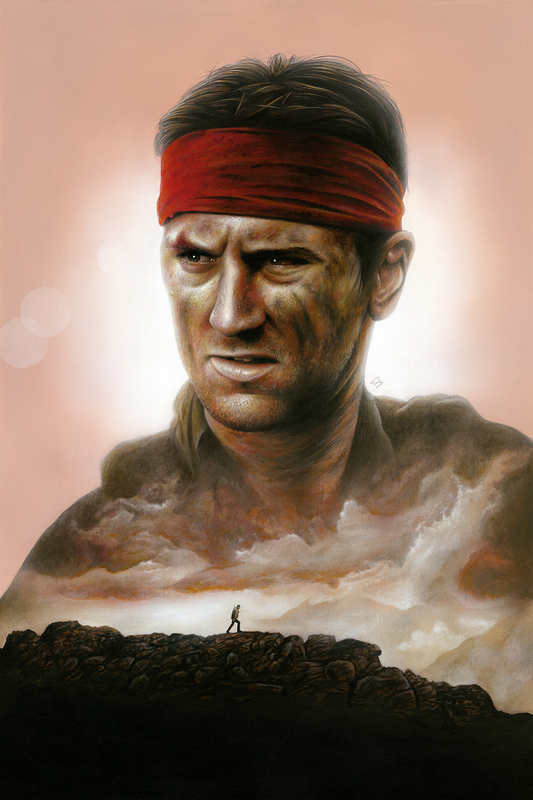 The Deer Hunter painted portrait done for an evening with Robert De Niro. This was signed by Robert and auctioned off. Medium: Acrylic paints on art board. Prints available to buy at www.etsy.com/uk/shop/CraigMackayDesign. By Craig Mackay.